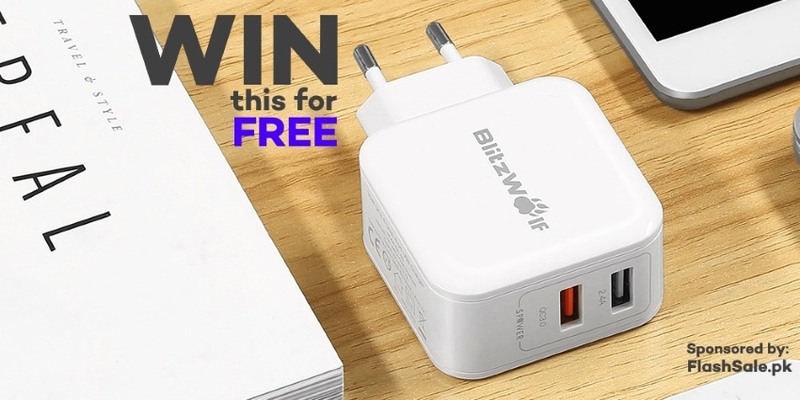 FlashSale.pk is giving away a FREE BlitzWolf BW-S6 Charger for your iPhone / Android device! Participate in the giveaway to win. No purchase necessary. QC2.0 mode: Stepped 5v/2.4A ,9V/2A and 12V/1.5A . Rated at 18W but can peak at up to 12V/2A~24W. Winner will be announced on Facebook here.